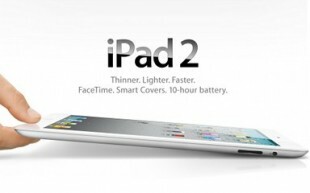 While the first generation iPad was difficult to find when it launched back in April 2010, as Apple ran out of stock within days, it appears that with the iPad 2, the Cupertino-based is getting ready for a massive launch, with an iPad 2 inventory on hand much larger than initially anticipated. For instance, Best Buy is already listing the device on its website, with an availability date of March 11th, the same day the iPad 2 will hit shelves at Apple’s retail stores, and at the Apple online store. Moreover, Steve Jobs mentioned during his keynote yesterday that the device would be launched in 26 additional countries by March 25, barely two weeks after the launch of the iPad 2 in the U.S. In comparison, Apple delayed the international roll-out of the original iPad by over two months back in 2010, as the company could not keep up with the demand. At this rate, we wouldn’t be surprised to see the device hit the shelves of other stores very soon, such as Walmart, Sam’s Club, and Target. As Steve Jobs put it during his keynote, “this thing will be everywhere,” and will be “the first dual-core tablet to ship in volume.” The first dual-core tablet to hit the street was actually the Motorola Xoom, but Apple is obviously working hard to make sure the iPad 2 will be the tablet of 2011, and to keep Android-powered tablets at bay. On a side note, Best Buy has been a great sales channel for Apple, as the electronics giant owns a slew of stores across the U.S., in location often without Apple retail stores. Best Buy offers a subset of Apple’s product line, namely the iOS family of devices, as well as some pre-configured MacBook models. Special Apple-branded areas are featured at about two-thirds of Best Buy stores, and are each staffed by Apple consultants recruited to guide potential buyers. Later this year, Best Buy and Apple will even bring the Apple Store experience to Best Buy stores, as Genius Bars are expected to be rolled out at select Best Buy locations. 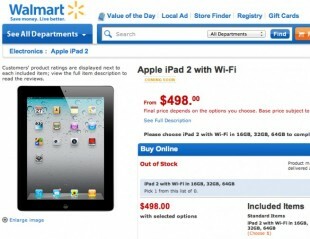 Update: The iPad 2 just appeared on Walmart’s website as well. Note that the retailer sells the device with a… $1 discount!